A vibrant electric blue rug now adds spark to the floor of the living area, contrasting with the white walls and ceiling nicely. A couple of slim steps lead towards the entrance from this space, and focused lighting adds a welcoming touch effortlessly. Note how the right wall has been cleverly used to house sleek wooden shelves and open cabinets. These can not only be used for storing shoes, but can help you arrange tons of household odds and ends. Wooden and white hues ruled the previous kitchen which was spacious, but fell short of modishness and structure. 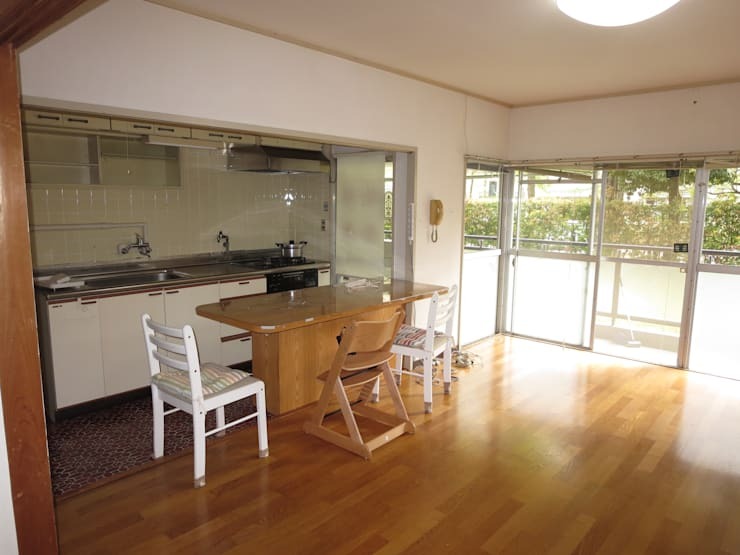 The countertop and the adjoining dining table lacked spirit and charm. Despite the large glass doors which were letting in ample sunlight during the day, the kitchen seemed to be devoid of pizzazz and thought. Gorgeous earthy tiles now line the floor of the kitchen, exuding a warm and cosy feel. The left wall with its pale blue hue and brick finish has completely transformed the way the old kitchen looked. A shiny stainless steel countertop and fixtures take up only a thin slice of this expansive space, and glow brilliantly under the industrially-inspired pendant lamp hanging from the ceiling. 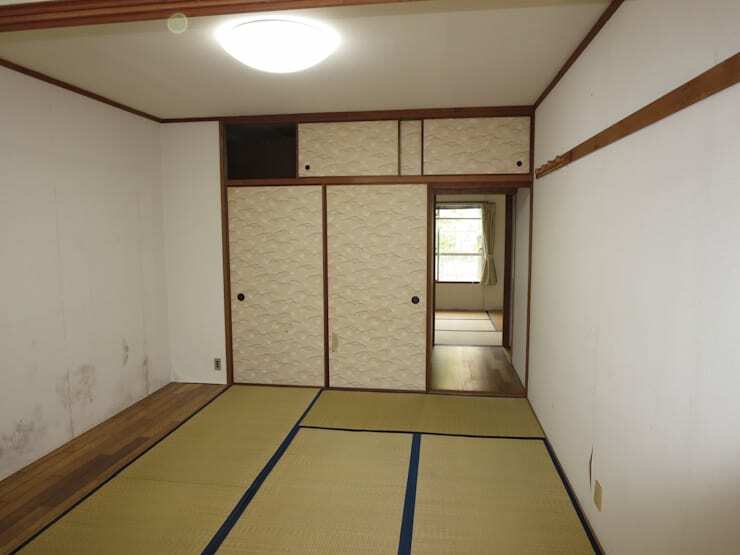 The huge black sliding door on the right leads to more private quarters. A robust black steel and frosted glass door lends added protection to the kitchen from outside elements. It helps in ensuring privacy too, which was not possible with only the clear glass doors leading to the outdoors previously. 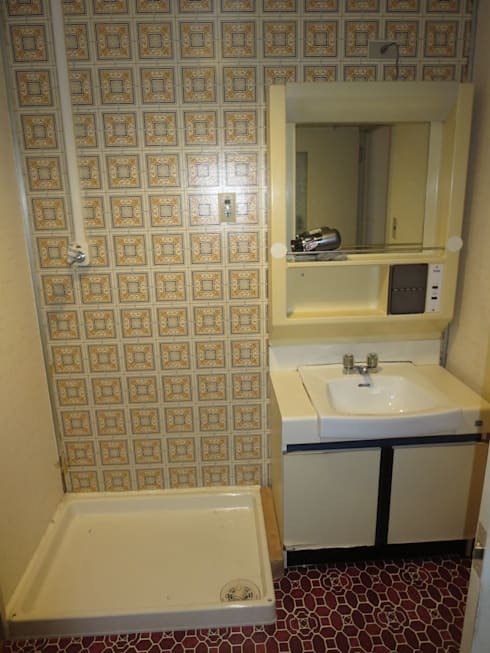 This bathroom with its mundane yellow wallpaper and congested floor pattern was not much of a rejuvenation space. The mirror, sink and cabinet unit appeared to take up a lot of room, lending a cramped feel thereby. Unfortunately, the subdued lighting hardly helped at all to improve the picture. The bathroom desperately called out for a chirpy, bright and airy facelift. 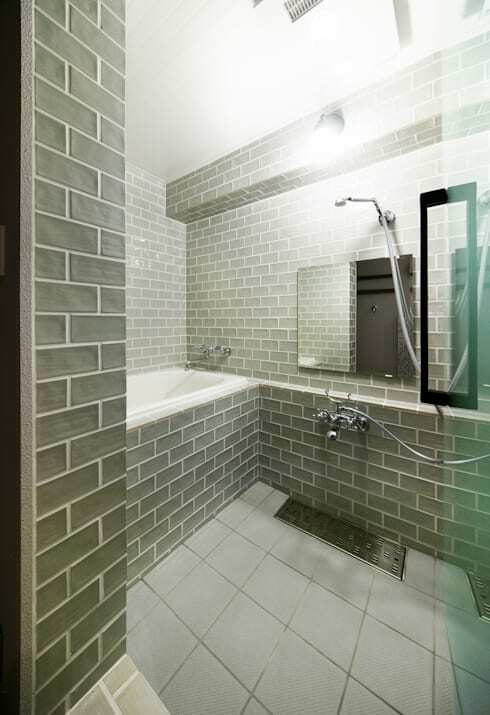 Shiny pale green tiles now line the entrance of the bathroom in an elegant manner. The floor is a chic and earthy affair, with clean white walls adding to the feeling of spaciousness. A sleek basin has been mounted against a mosaic wall panel, while a round mirror ups the style quotient considerably. Slim racks line the bathroom wall so that you can arrange towels and clothes with ease. And a dazzling bright white pendant light casts an invigorating glow from the ceiling over the entire scene. 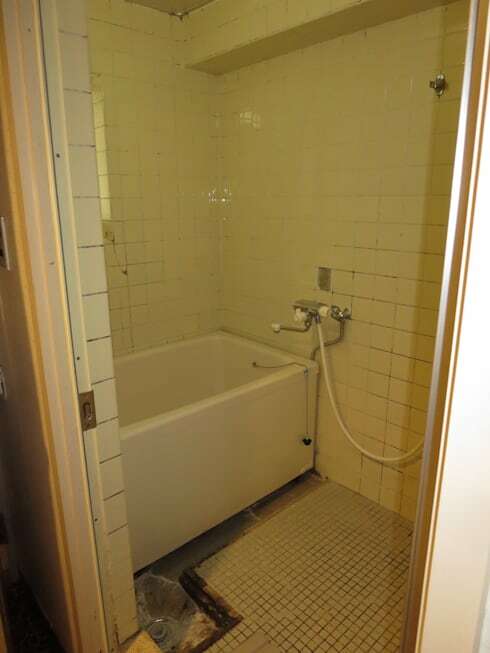 Here’s another bathroom of this apartment which looked simply frightful before the renovation. The tiles were dirty and lined with grime. The tub looked extremely commonplace and sordid. All in all, bathing was a depressing experience in this dull and dreary space. Chic light grey tiles now line the walls of the bathroom along with the periphery of the bathtub. 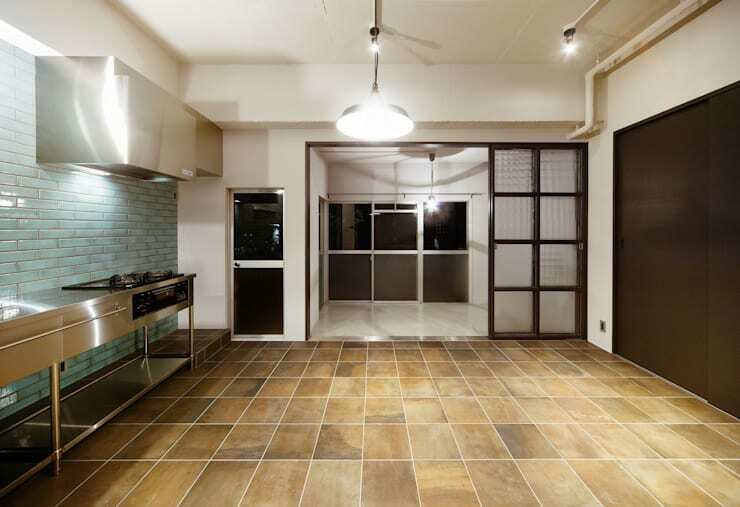 Large tiles have turned the floor into a modern delight. Sleek stainless steel fixtures, a cosy shower tray, and a fair-sized mirror complete the sophisticated and no-nonsense look of this washroom. 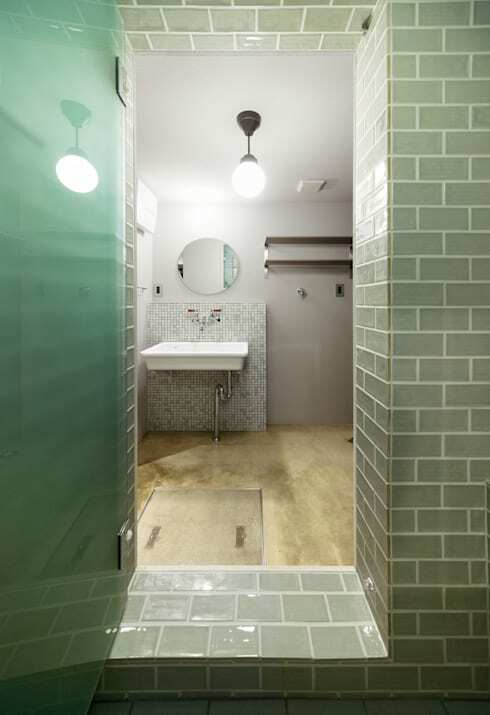 Bright lighting seals the deal, and further accentuates the industrial aura of the bathroom. 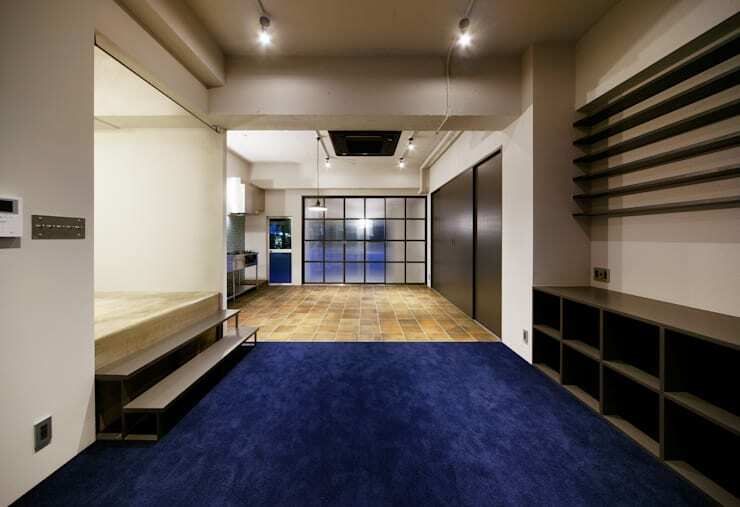 We're sure that you are impressed by the drool-worthy metamorphosis of this contemporary Japanese apartment and its industrially inspired design touches! For more ideas, check out another transformation story here: Before and after: a compact apartment blossoms. What do you think of this apartment now? Are you a fan of industrial decor? Let us know in the comments!